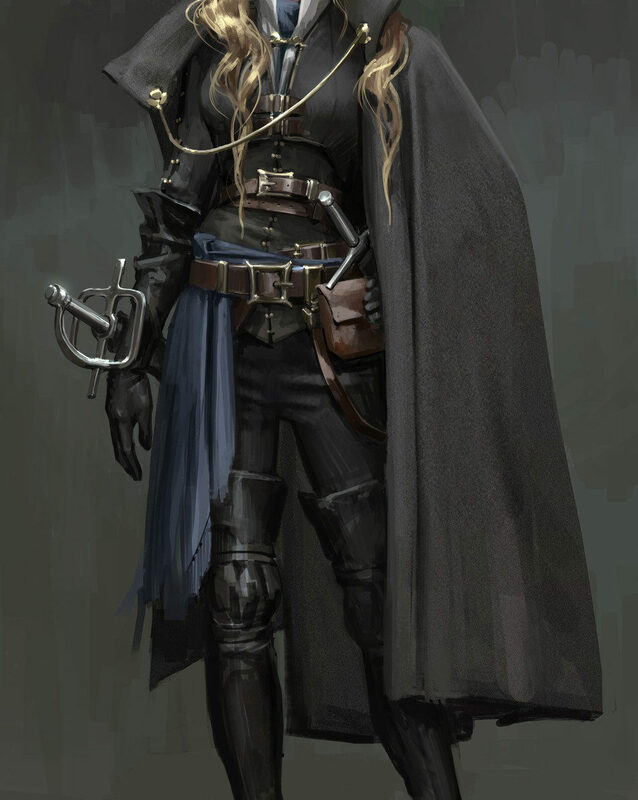 This is only half of the piece, the other being a male rogue, and we definitely recommend you check out this piece on ArtStation. I just wanted to focus on the lady for this post. I knew immediately upon finding this that we had to feature it on the blog. Besides the fact that she’s got so much attitude, it’s also an impressive show of style and function. She wears so much black, but it doesn’t look tacky or Edgy, and there are hints of color here and there that tie it together. Everything has its own texture. And I love the messy hair. She is wearing thigh high boots, but these actually look functional; the knee area is loose and probably allows for an actual range of motion, unlike the usual examples we see of these. This is just a beautiful, functional and sassy design.